Ever heard the saying "organising your closet is as easy as ABC"?. Most likely not because I just made it up, lol. An organised closet. Hmmm, mine is a shame to behold but mainly because I have no space at home. Once I do get space, you bet I'll be dying to show it off to you all. When you think of the “80-20 rule”, your closet is the last thing that comes to mind! But it is true, the 80-20 rule does apply. Many of us subconsciously wear only 20% of clothes we own, and ignore or forget about the remaining 80%. This is largely because we “fall back” on our tried and true closet pieces that we wear over and over again, and often times, in the exact combination. One of the easiest ways to change this and effortlessly put outfits together is an organized closet and a system that works for you and your lifestyle. First things first, clean out your closet. The truth is, a messy closet is stressful. You can’t think creatively when you have to walk through piles of clothes. Get rid of clothes that no longer work for you. 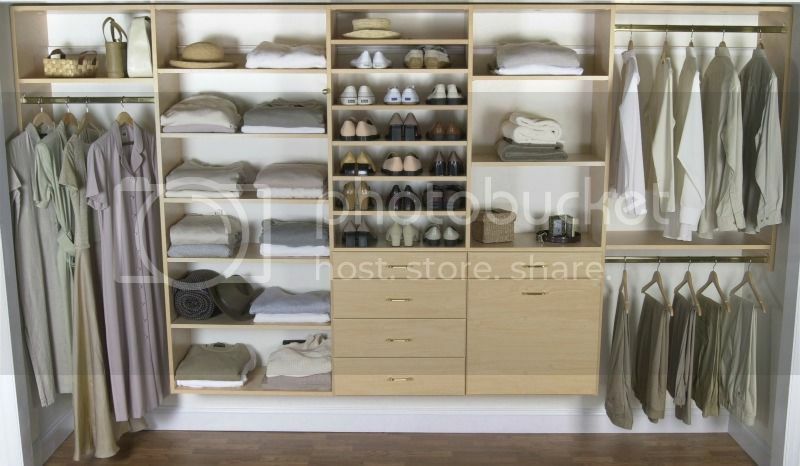 Make the process easy by keeping bins specifically for this purpose in your closet. Every item in your closet should be flattering on your body and should score a 10 in your books. Need extra help with decluttering? 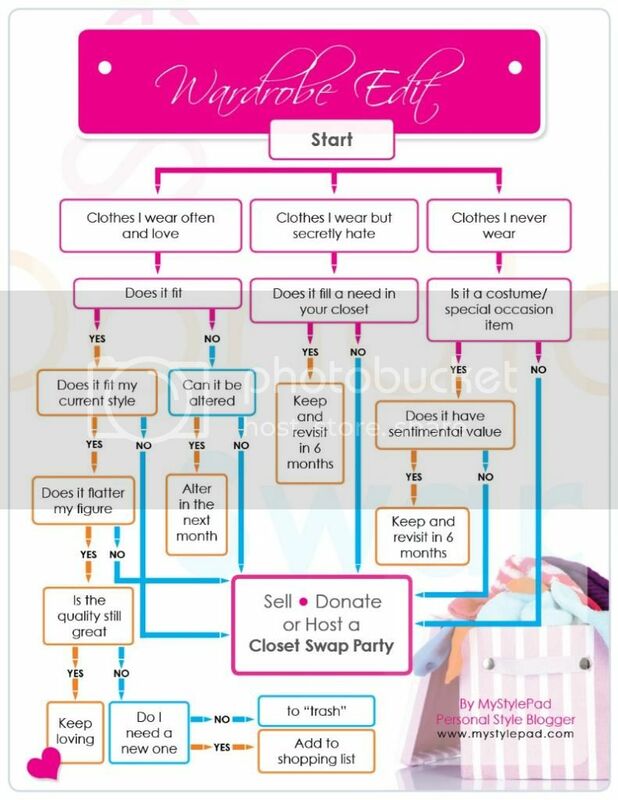 Use this closet detox chart created for the MyStylepad blog. Arrange your clothes by clothing type: pants, skirts, tops, dresses, jackets, in that order. Not only is it visually appealing, it is also practical. It helps you to think of creating an outfit. You start off with the bottom (pants or skirt) and then choose which top to pair with it. You may decide to skip the first three categories altogether and opt for a dress. You can then decide whether or not to throw on a jacket to complete the look. Simple huh? 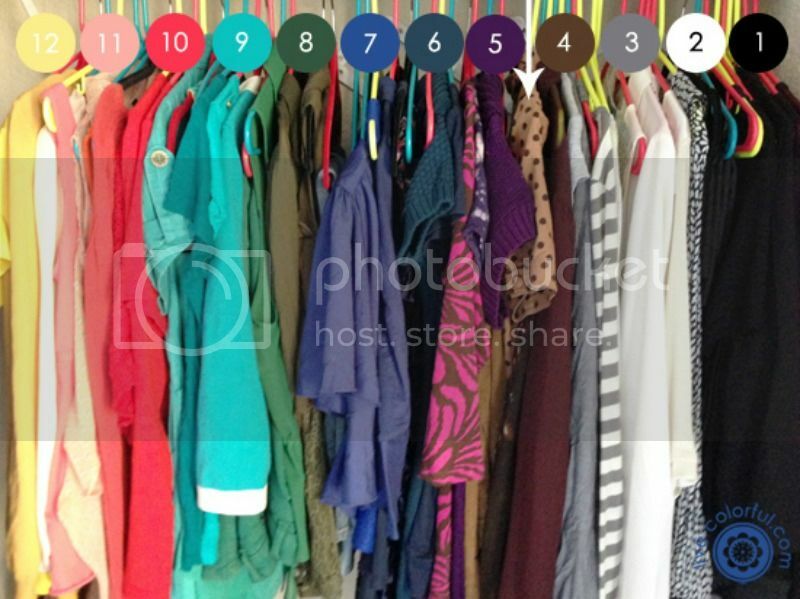 Further organizing each category by color takes your closet visibility up a notch. It makes color pairing easy. Regardless of if you are going for a simple or bold look, you can easily channel your energy and focus in the right direction. A general rule of thumb is to start with lighter hues and go along the color spectrum till you get to darker ones. You can choose to store gray and white together with black. Get your shoes out of the box. Most people like to keep shoes in boxes to protect them, but protection doesn’t matter if your shoes are not being worn. Remember, out of sight is out of mind. How many times have you forgotten you owned a pair of shoes just because they are out of sight? The benefit to getting your shoes out of the boxes is that you will actually show your shoes some love by wearing them often. 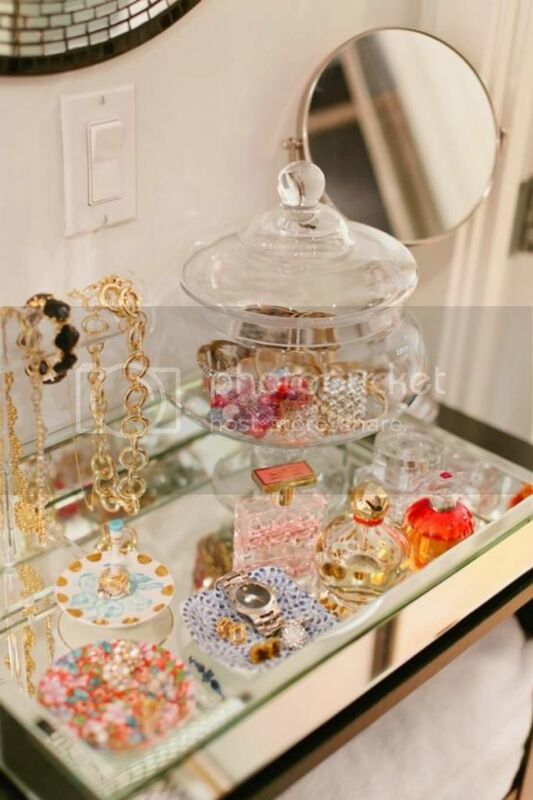 If you would still like to protect your stilettos by storing in boxes, opt for clear boxes. If clear boxes are outside of your budget, take pictures of your shoes and place them on the shoe boxes. Whichever system you choose, make sure your shoes are visible so that you can make the most of the shoes you own. The same concept applies here as with your shoes. Keep them visible. It’s that simple. Don’t be stuck in a jewelry rut; where you wear the same jewelry over and over again. You have invested some money buying those baubles; wear them. Get creative in how you showcase them. Make use of as much vertical space as possible (as seen below). Finally, use uniform hangers. This creates a streamlined and clean look within your closet. Also get rid of the iron hangers; they tend to have a short shelf life and don’t keep the shape of your valuable closet pieces. What do you think of these tips? Do you already use some of them? Are there other tips that you swear by? Please share your thoughts in the comments section below. We would love to hear from you.